The ad was made by NextGen Climate Group headed by Tom Steyer, one of Obama’s biggest donors and staunchest critics to the pipeline deal. 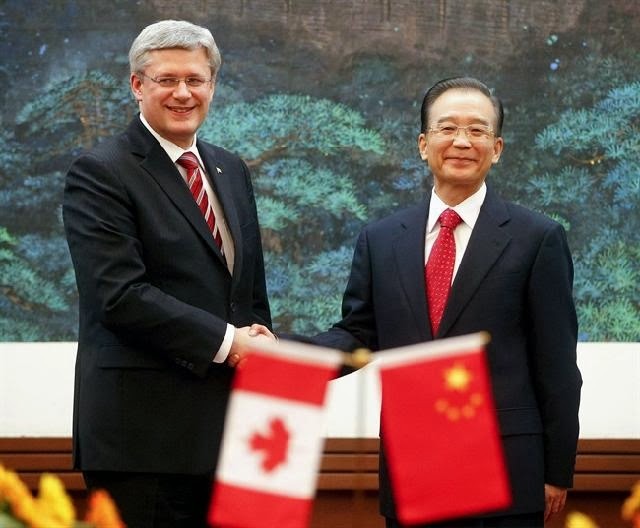 The ad features a narrative beginning “It’s a sucker-punch to America’s heartland” to the backdrop of Harper and Jiabao shaking hands. The ad quickly transitions into a money counter and list of Chinese shares of Canada’s oil reserves to a backdrop of the Chinese flag. “Keystone’s a sucker’s deal for America. Just say no to Keystone,” the narrator can be heard, once again to the backdrop of Harper and Jiabao. Obama hasn’t yet indicated a decision on the pipeline but Republicans in the US are threatening to hold his feet to the fire the next time the government hits the debt ceiling. “The president’s own State Department acknowledged that the Keystone XL pipeline — as just one example — would create tens of thousands of jobs at no cost to taxpayers,” said Republican Senator Roy Blunt of Missouri. Locally, a lot is at stake for all major parties. If the pipeline passes, the Conservatives can declare victory and will be remembered for its vigorous attempts to get the project passed. If the pipeline fails to pass, the Liberals will target the Conservatives on the basis that they took the wrong approach to get the pipeline passed and it’s expected the NDP would then campaign against the Liberals and Conservatives and either pull the plug on Keystone, or dramatically change the way it’s handled as a project. 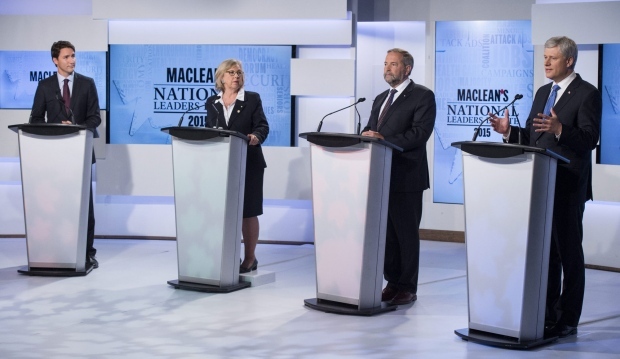 The debate in Canada hasn’t been as heated as south of the border, but one can imagine the Keystone projects will be part of the next election campaign in one form or another: whether it be on the Conservative narrative of creating jobs, the Liberal narrative of getting it passed, or the NDP narrative of it being bad for the environment. The ad is ironic considering the style of attacks Harper’s Conservatives have launched in the past. 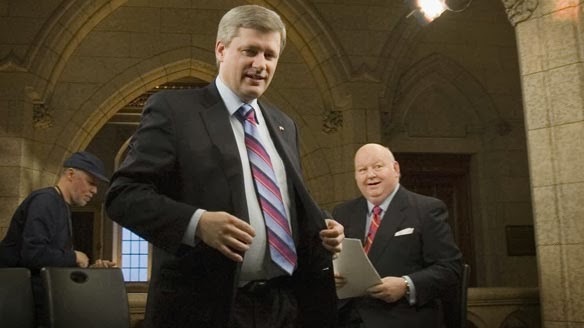 However, unlike Conservative ads against Stephane Dion, Michael Ignatieff, and Justin Trudeau being contained to a Canadian audience, this ad demonizing Harper in a very polarized American frame could potentially be seen across the world. Putting domestic politics aside, Harper is the man who represents Canada on the world stage and this slap to him is a slap to our nation’s image. Nevertheless, the world needs oil (whether as a fuel or as a means to create products like tires) and the way it is extracted and transported remains a subject of debate. With recent rail tragedies like Lac-Megantic growing in number, we see that pipelines may be the safest form of transportation. However, with changing atmospheric conditions and an inherent reliance on proper maintenance, not to mention possibilities of eco-terrorism by radicals, pipelines pose their own set of dangers in the transport of one of the dirtiest, yet most essential, resources in our current context. Obama’s decision is much anticipated and will impact domestic politics as we know it. In Canada, the Economy remains the number one focus of Canadians and anyone without an acceptable and coherent economic platform won’t get elected – as we saw in 2011. However, while oil will be required for a while yet, it won’t suffice forever. European markets have taken the lead in building the green markets of tomorrow. Why isn’t Canada, with the second largest share of landmass in the world, taking advantage of the natural elements needed to produce and export cheap and renewable energy? 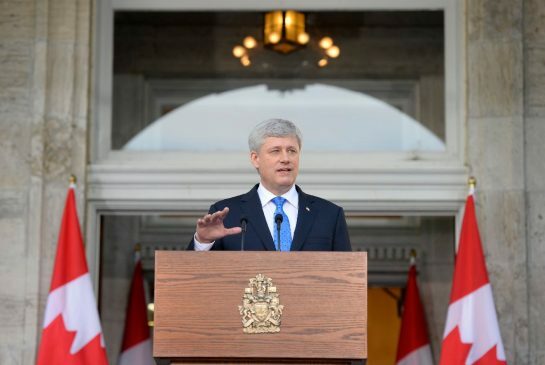 What do you think of Harper’s premier in an American attack ad? Where do you stand on the Keystone XL project?